Here I am–just kicking back, waiting for Xmas. My Mommie doesn’t like it when I lay like this, she says I have no shame. But I love sleeping like this. All I can think about is treats for Xmas. We are happy that you are well –and that you and your Mama were able to escape ahead of the Paradise area fires. The fact that your home survived is a miracle; however, we are happier to know that your Mama and you two OwyheeStar Weimar kids got to safety. We wanted to reach out and send you an update on our Moxie Blue. She will be 4 years old in December. I cannot tell you how much love and joy she has brought us. We adore the Weimars and she has such an amazing personality. Moxie brings in the newspaper for me every morning. She goes where we go. A big thank you to both you and Cliff for introducing us to the long haired, blue beast that has taken over our lives in the best way ever. She is a California dog that gets to frequent the beaches, lakes, vineyards, mountains and snow this state has to offer. Both my husband, Brian, and I follow your blog. It’s packed full of helpful information and we enjoy the updates from other Weimar families. Thank you for your passion. There have been quite a few folks in the last five years that have been offered a Longhair when they asked for the traditional smooth coat. No one has ever been sorry–or unhappy in the least that we mentioned the Longhair. When we mate a Longhair (such our Stackhouse) to a traditional smooth coat (eyelash-length shorthair) Weimaraner there is potential to have some Longhair pups in the litter. We have learned over the years that statistically speaking the expectation might be to get 50% Longhair; however, you can see a wide variance. We have mated the same pair and gotten not a single Longhair and the next time we got a 50% result. In other cases, the percentage of Longhair pups in the litter was closer to 20% and the next year the same pair produced 75%. This unpredictable outcome makes guessing pretty darned difficult. Predictions are kept to a minimum–we expect some Longhairs. On occasion, like at present, we get mostly the Longhair. Hattee (Zula Blue X Blue) has produced her first litter. Her DNA test came back showing us she was a carrier–which was again hard to guess without testing. She was mated to Stackhouse, and seven of nine pups are the Longhair. All of them are gray of silver gray because neither parent was a Blue. Click Here to view the one-week litter update and click here for the two-week update. We are accepting applications for the Longhair–there are more males than females. These pups will be ready to depart OwyheeStar (and to join their forever families) before Thanksgiving. They are the early winter litter for 2016. Once again, we will have immediate availability for the Longhair; however, a wait for the traditional Weimaraner. 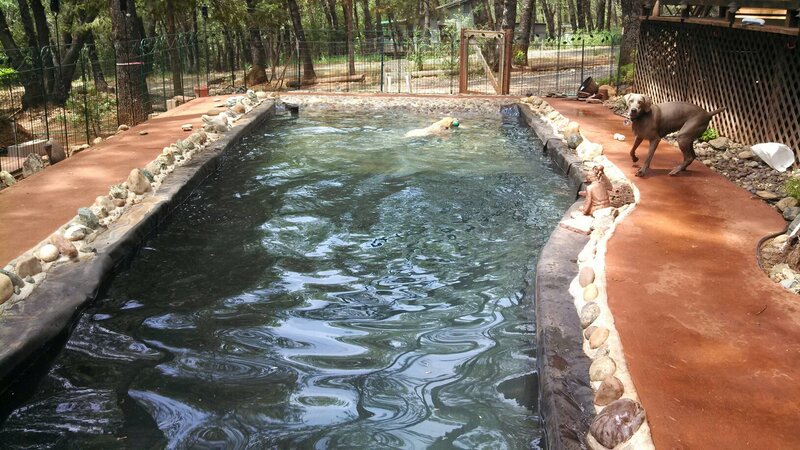 Here is a picture of the pond I had built for my babies (Weims). Left is one of my Dusty posing for me along the side of the pool. (May 15, 2013) Stormy is with me in San Jose, caring for my mom. Dusty stayed home with my boyfriend this week. This is the first time they have been apart. She is a bit blue without him. 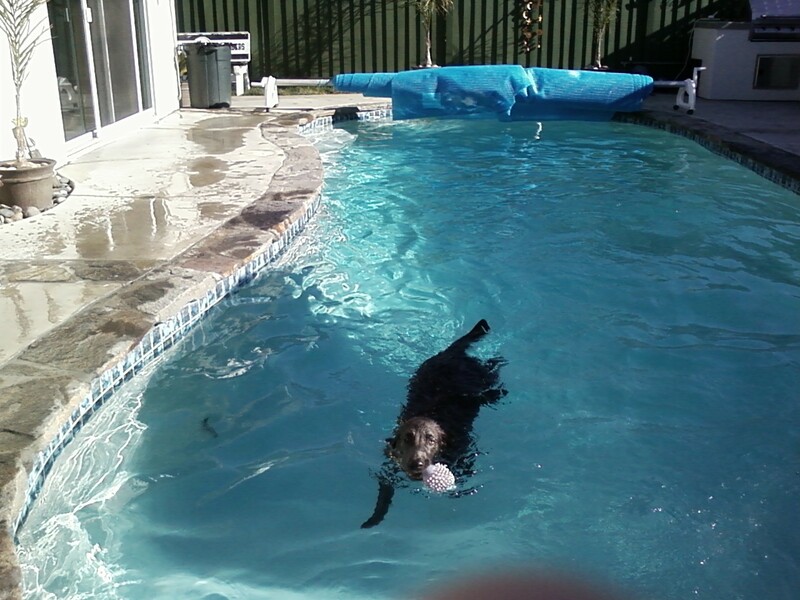 But she has a swimming pool at my friends house that she can swim in everyday. 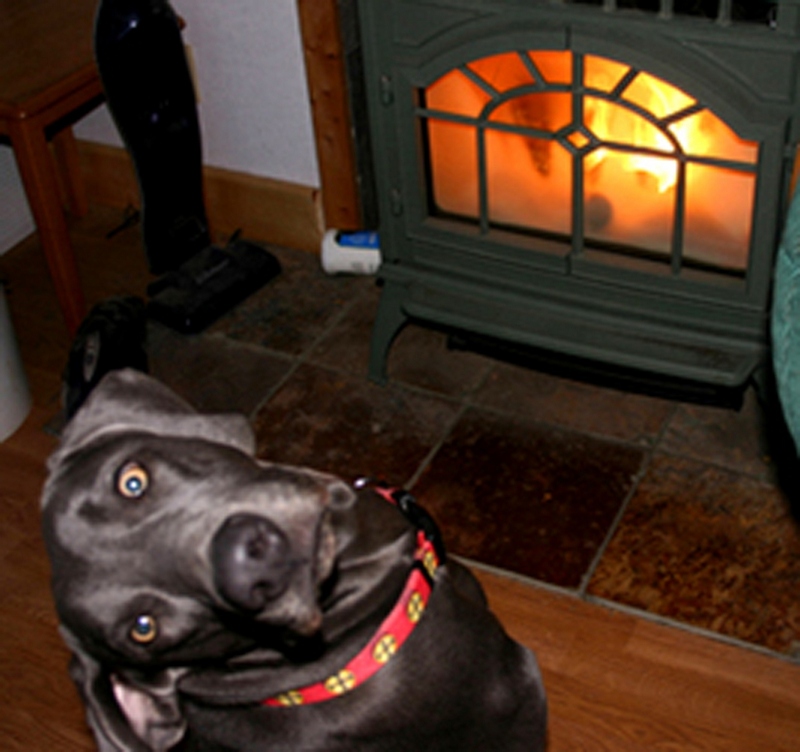 Breeder’s Note: Maybe you follow OwyheeStar Weimaraners both here and on facebook. If so, you read about Stormy and Dusty almost every day. OwyheeStar’s Dusty is the father of both of Virginia’s pups. 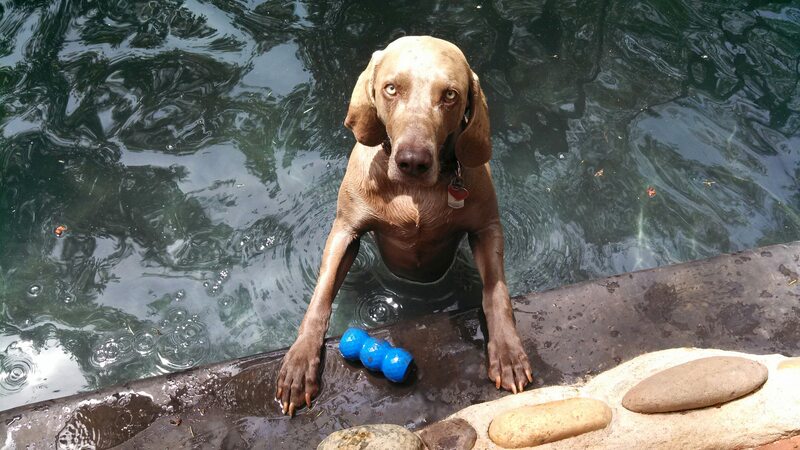 He is a smooth-coated Weimaraner, but he carries the DNA marker for the longhair.